The establishment of the Dubai Banking Group (DBG) by Dubai Holding, with assets valued at more than $10 billion (Dh36.7bn), will consolidate the city’s pioneering status in modern-day Islamic finance, which began 30 years ago with the creation of Dubai Islamic Bank. The local arm of the new group, Dubai Bank, has made significant progress in different business initiatives within retail, corporate and investment banking, and through Dubai Banking Group, the lender will be able to expand its business opportunities globally. Dubai Banking Group already has investments in global Islamic financial institutions in Kuwait (Al Fajer Re-takaful) and Malaysia (Bank Islam). With the Shariah-compliant market now valued at $260 billion (Dh954bn) internationally, accounting for about 20 per cent of the world’s banking system, the group positions Dubai as the hub for Shariah-compliant products. Underpinning this drive is the fact $4.11bn worth of sukuk are listed on the Dubai International Financial Exchange, the world’s largest listed value. Nasser Al Shaali, Chief Executive of Dubai International Financial Centre Authority, said Dubai is “ideally placed” to play a “leading role” in the development of the Islamic finance industry due to the UAE’s religion, legal system and civil code. DIFC has a unitary, risk-based Shariah systems regulator, regulations based on international standards, duly modified for Islamic finance, and a legal environment based on common law that provides certainty and familiarity, he said. Dubai has a number of distinct advantages that set it apart from other Islamic financial centres. Not only is DIFC based in the heart of the Middle East, the home of Islamic finance, but it is also ideally placed to play a leading role in this rapidly evolving sector. The consolidation that creates the Dubai Banking Group to promote Islamic finance comes at a critical stage when most analysts are calling for mergers and consolidation of Islamic financial institutions to create large banking entities with assets and capital large enough to meet the increasing demand. Ebrahim Al Shamsi, Chief Executive of Emirates Islamic Bank, said consolidation of Islamic financial institutions would help them introduce new products and be more competitive in the market. He added with large capital and human resource base in Islamic finance, the sector can grow rapidly. Oliver Agha, global head of Islamic finance at DLA Piper Middle East, said the increasing money supply and liquidity in the GCC region would create major opportunities for Islamic banks. Recent research has forecast Dubai will be the global hub for Islamic financial services. Investment bank Goldman Sachs said total Islamic banking assets, including takaful, in the UAE could reach $87bn by 2010, increasing the country’s global market share of Islamic banking to around 11.5 per cent. This would place the UAE among the world’s top global Islamic financial centres. It added the past three to four years have seen the UAE challenge the monopoly of Malaysia in the issuance of sukuk. Goldman Sachs said UAE banks are better placed to compete internationally in industry segments such as sukuk issuances. Analysts and bankers say Dubai has advanced Shariah infrastructure. Goldman said the UAE is competing to become a global centre for Islamic finance, as the GCC region is likely to continue to gain market share from Malaysia. The investment bank expects 28 per cent annual average asset growth in Islamic banking in the UAE for the next three years. It estimates the global Islamic finance market to grow at 17 per cent per annum, reaching $1.3trn by 2012. 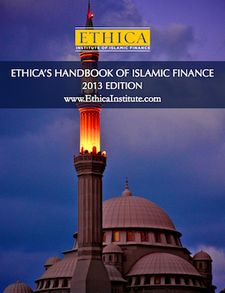 Islamic finance is estimated to have 20 per cent market share in banking in the Arab world. This figure is expected to rise in the next decade to reach up to 60 per cent of total savings of the world’s 1.2 billion Muslims. And Dubai is positioning itself carefully to get the lion’s share of this segment. This entry was posted in Sukuk, United Arab Emirates and tagged Islamic Banking, Islamic finance. Bookmark the permalink. Guest Post: Are Commodity Investments Shariah-Compliant?